From 13 January 2011, developers are required to provide purchasers with a full disclosure statement. What is a Full Disclosure Statement? The Direction for General Regulation Concerning Jointly Owned Properties (the General Direction) puts in place detailed obligations for developers to disclose a number of matters to purchasers. The General Direction was issued in May 2010 pursuant to Law No.27 of 2007 Concerning Ownership of Jointly Owned Properties in the Emirate of Dubai (the JOP Law). 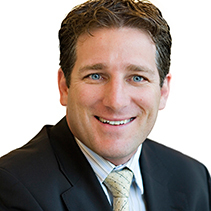 Before a purchaser signs a sale and purchase agreement for a proposed or an under construction unit, or a completed unit where title has not yet been issued, the developer must give the purchaser a written statement setting out a number of pieces of information regarding the development. This new procedure aims to help purchasers make an informed decision regarding their purchase of a unit. Although a limited disclosure regime has been in place since the General Direction was issued, the “full form” disclosure obligation commences from 13 January 2011. What information must a Full Disclosure Statement contain? the intended land uses within the building or project. For example, residential, furnished, hotel apartments, retail, offices etc. a statement concerning the purchaser’s obligation to register their sale and purchase agreement in the interim or final property registers. What happens if a Full Disclosure Statement is incomplete or inaccurate, or is not provided at all? The relevant sale and purchase agreement will be void and of no effect if a developer fails to provide a purchaser with a Disclosure Statement. Although it remains to be seen how the courts will apply this in practice, clearly this requirement is of critical importance. It is possible a purchaser will be able to get out of a sale and purchase agreement without application to the courts. In addition, the General Regulation implies a warranty from a developer that the information contained in a Disclosure Statement is true and correct. If within two years of the date on which the unit is transferred from the developer the Disclosure Statement is found to be materially inaccurate or incomplete, the developer will be liable for damages. Please note it appears this warranty does not only apply to purchasers who buy direct from the developer. Purchasers who on-sell units to third parties are also required to give the new purchaser a copy of the Disclosure Statement received from the developer and the developer can also be liable to third party purchasers for breaches of that warranty. What should a developer do next? Preparing a Disclosure Statement that complies with the General Direction is crucial for a developer to ensure there is no threat of a sale and purchase agreement being declared void. Developers should take legal advice concerning this requirement. 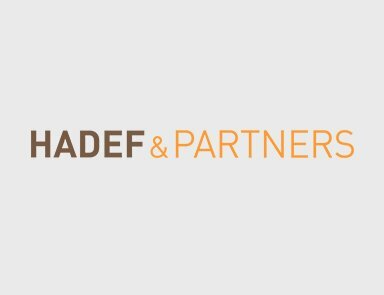 Hadef & Partners has experience in all aspects of compliance with the JOP Law, including jointly owned property structuring and development, the preparation of Disclosure Statements and assisting in the establishment of Owners’ Associations.